MacTutor, also known as The Tigers of FileMaker, is first and foremost a consulting company specializing in FileMaker development for companies like YOURS. We are Platinum Partners of the FileMaker Business Alliance and known in the industry for our years of experience and expertise. We are within the top 1% of the most qualified FileMaker Development Companies in the USA, and 8% Worldwide. We don’t discriminate! We are a team of FileMaker, web and mobile developers specializing in custom applications and business solutions for numerous industries in the USA and across the Globe. We accept projects of all sizes from small fixes to enterprise level systems. Our offices are in Tampa Bay, Florida, with remote locations in Houston, TX and Miami, Florida, but we service the vast majority of our customers remotely. The Project is for You! At MacTutor we develop custom software solutions developed with FileMaker Pro for desktop, web and mobile applications. 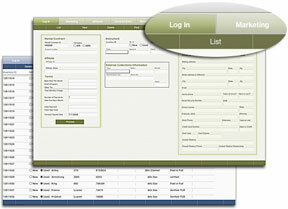 Additionally we have a web delivery team specializing in flawless web solutions not exclusive to FileMaker. Whether your project requires FileMaker, Web or Mobile help, we pride ourselves in producing components or systems which are user-friendly, easy to use and made to fit your organization’s exact needs 100%. But the emphasis is on giving you WHAT YOU NEED, no more, no less. Whether your organization needs a robust enterprise level system, a web-based system, a multi-user solution or Mobile connectivity, we can build it exactly as you need it. Our ties with FileMaker Corporation go beyond the mere professional, guiding relationship. We have been awarded by FileMaker, Inc. the prestigious Business Alliance Platinum Status only granted to a handful of organizations Worldwide. In addition, our programming team is mostly composed of Certified FileMaker 8, 9, 10, 11, 12, 13 & 14 Developers. Our team has years of experience and thousands of hours of programming under their belt. But, project to project, the key to our success is how selective we are when choosing our staff; we believe that only high caliber individuals make any company great. Thus, we strive to maintain a team of tremendously pleasant, intelligent people whom make the production process a smooth one for you. We are professionals. But most of all we prioritize harmony and friendship with our clients and among ourselves. Need a robust enterprise sized system? Looking to just convert File Maker? or some minor enhancements? or simple reports? No matter the size of your project… come on board! We welcome you to our Team.